A set of SNP markers associated to bunch compactness and related traits were identified in grapevine. Bunch compactness plays an important role in the sanitary status and perceived quality of table and wine grapes, being influenced by cultural practices and by environmental and genetic factors, which are mostly unknown. In this work, we took advantage of genetic, genomic and bioinformatic advances to analyze part of its molecular basis through a combination of transcriptomic and association analyses. Results from different transcriptomic comparisons between loose and compact grapevine clones were analyzed to select a set of candidate genes likely involved in the observed variation for bunch compactness. Up to 183 genes were sequenced in a grapevine collection, and 7032 single nucleotide polymorphisms (SNPs) were detected in more than 100 varieties with a frequency of the minor allele over 5 %. They were used to test their association in three consecutive seasons with bunch compactness and two of its most influencing factors: total berry number and length of the first ramification of the rachis. Only one SNP was associated with berry number in two seasons, suggesting the high sensitiveness of this trait to seasonal environmental changes. On the other hand, we found a set of SNPs associated with both the first ramification length and bunch compactness in various seasons, in several genes which had not previously related to bunch compactness or bunch compactness-related traits. 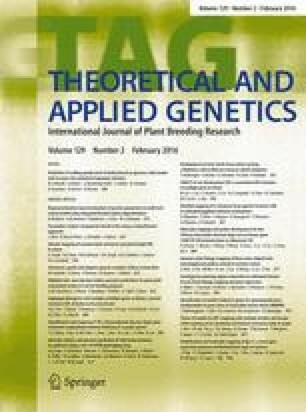 They are proposed as interesting candidates for further functional analyses aimed to verify the results obtained in this work, as a previous step to their inclusion in marker-assisted selection strategies. The online version of this article (doi: 10.1007/s00122-015-2623-9) contains supplementary material, which is available to authorized users. Authors acknowledge R. Aguirrezábal, S. Hernáiz, B. Larreina, M.I. Montemayor and E. Vaquero for their technical assistance, as well as CIDA (Gobierno de la Rioja) for the maintenance of the plant material used in this work. We acknowledge J.M. Martínez-Zapater and N. Diestro for providing unpublished data on QTL mapping. This work was supported by the Spanish Ministerio de Economía y Competitividad (MINECO) through projects AGL2010-15694 and AGL2014-59171-R and grants BES-2011-047041 (JT) and RYC-2011-07791 (JG). The authors declare that the experiments comply with the current laws of the country in which they were carried out.